From little rowboats to luxurious yachts, there's something unique about floating on the water and cruising over the waves. 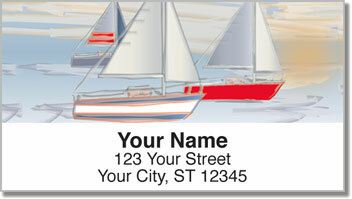 If recreational boating is how you like to spend your free time - this address label design makes an eye-catching finishing touch for your letters and packages. 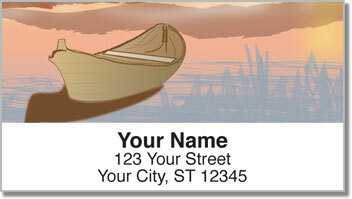 The four images include sailboats, an old-school canoe and even a tugboat. 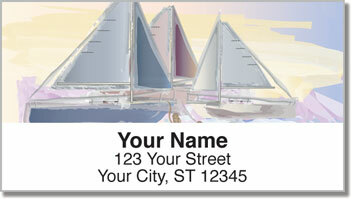 You'll love how much easier it will become to prepare your outgoing mail using these conveniently, self-adhesive labels. Just stick them on anything you put in the mailbox! 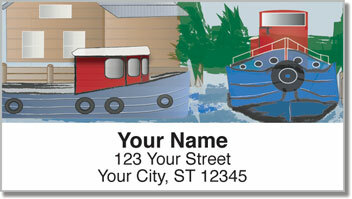 Order your very own Boating Address Labels today! This offering is also available as matching personal checks.